It’s accepted wisdom that nothing and no one can destroy Craiglist, the San Francisco-based local classifieds marketplace whose success has continued unhampered for roughly 20 years, despite many newer entrants with far snazzier technologies. VarageSale might just be different. At least, the 50-person, Toronto-based outfit is gaining enough traction that last month, Sequoia Capital and Lightspeed Venture Partners sank $34 million into its operations. As key, seemingly, the conversations that happen behind the scenes between Craigslist users — the harried “I’ll take it!” emails, along with the privately asked questions and price haggling — are instead displayed in Twitter-like feeds at VarageSale. It helps build interest in users’ items, suggests Mercier; it also builds community. We talked with Mercier this week. Our conversation has been edited for length. 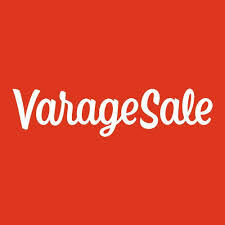 You say VarageSale has millions of users. Is that single-digit millions? And how many items are selling on the platform each month or year? We have millions of users who view billions of items of month. For competitive reasons, we’d rather not be more specific. But 50 percent of our mobile users open the app every day, which is very unusual for a commerce app. What are they returning to check out? Typically people are coming to the site for information about a specific category they’re following — like clothes for a two-year-old boy, or smartphones. They also come back all the time because they want to make sure they don’t miss that treasure, or because they posted an item and there are 10 people who’ve expressed an interest in it. Do you do anything to slow the pace of transactions to foster those conversations? It’s interesting that people don’t just sell to the first interested party. It’s more akin to people putting their towel on a beach chair at 6 a.m to reserve it. Maybe the first person to express an interest [lands the item], but once they ask a question, then we see other people become interested — sometimes tens of them. You don’t enable people to transact through the site, though. Like Craigslist, that happens offline. Might that change? We really want to focus on building up our local communities right now — growing our user base and coverage. That’s where we feel like we’ll have the biggest impact. I’d read about VarageSale meet-ups. How do most people come together? It really depends on the people and the communities. Sometimes people meet in a parking lot or at their house; sometimes, our moderators organize events every one or two weeks. Given your emphasis on community, VarageSale sounds like a hybrid of a number of things, including Craigslist and NextDoor. Maybe even Airbnb? Are people selling home items alone, or are you starting to see other things, like neighbors alerting others to their available in-law unit? Hah, no. Airbnb is really good at that. Some people are renting properties [on the platform], but we mostly focus on physical goods. You’ve just raised a lot of money. Is this an employee-intensive business? How will you use the capital? Building strong communities isn’t something that we can just press a button and it happens. It’s definitely hard work that involves a lot of human intervention. We probably won’t be hiring 1,000 people, but we think we’ll add 30 to 40 employees in the next year. We already have a small presence in Europe, Australia, and Japan that we’re growing. Will your eventual business model center on transaction fees? Local advertising? Revenue isn’t a priority for us. We want to focus on improving user experience and we have great partners [in our venture investors]. With the money we now have in the bank, we have runway for a few years.